WELCOME TO MY MONEY MISSION ONLINE: WONDERFUL WEDNESDAY MOM MINUTES & MORE!! WONDERFUL WEDNESDAY MOM MINUTES & MORE!! "Years ago I learned this little tip from my younger sister. 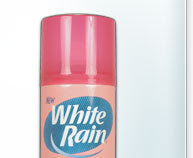 You know those plastic caps that come on the ends of hairspray, shave cream, spray starch, etc.? Well, don't throw those away.....save them for when you start seeds in the spring. They are just the perfect size to use as little mini-greenhouses, and sturdy enough to handle the growing seedlings. Place the empty caps on a cookie sheet or any other flat tray, add your soil, put in the seed(s), water a little, cover with loose plastic wrap (to help retain moisture) and then just watch them grow." This is a another tip that she gave to me years ago, and I thought that I would include it today, before I totally forget about it. It involves buying chocolate at those after Christmas/Easter/Halloween sales. 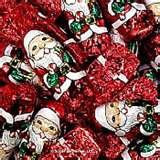 The trick is to find those chocolate Santas, Easter Bunnies, leftover chocolate bars from Halloween that the stores sell at rock-bottom prices, and buy as much as you can. When you get home, chop up the chocolate into small pieces, put into freezer bags, and "Voila!" You have chocolate baking pieces to use when making chocolate chunk cookies or to melt and use in various recipes. AND, you won't break your budget doing so, because you bought when the price was rock bottom!! Old Navy is spoiling us with these deals lately! 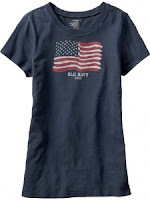 This Friday, July 3rd, you’ll be able to pick up Old Navy Flag Tees for the whole family for just $1. For all of you that have already bought your shirt, if you have your reciept, they will do a price adjustment for you. Then you will have more money to spend on other things on sale in the store. Your purchase does need to be within the last 30 days---as long as it is within 30 days, it is store policy to do the price adjustment. And now I have to go find everyone's caps so I am ready for next planting season. I LOVE that tip. Thanks, mom! I love mom and you! Great idea about the caps and I had no idea about the tees. Ya cheap stuff. And please tell mom thank you!